Hall B features central room dividing floor-to-ceiling drapery. The room dividing capacity allows for layout flexibility. 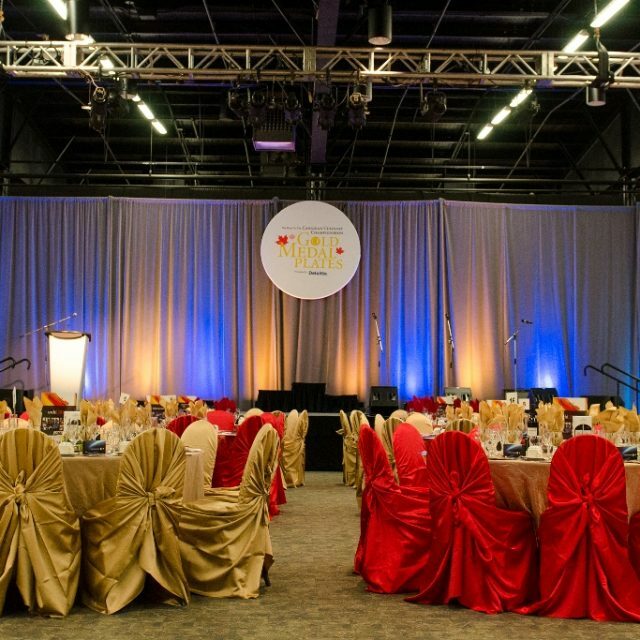 This hall is capable of accommodating groups up to 2,000 – perfect for an elegant reception, presentation or trade show. Gala events, trade shows, fashion shows, wedding receptions, business luncheons and speaking engagements.